‘Is the internet making the young generation lazy?’ This question was raised by an old farmer in a paddy field in Sri Lanka, after observing his grandson whose eyes were glued to a smartphone all the time. But the farmer did not know his 19-year-old grandson was already running an e-commerce business. 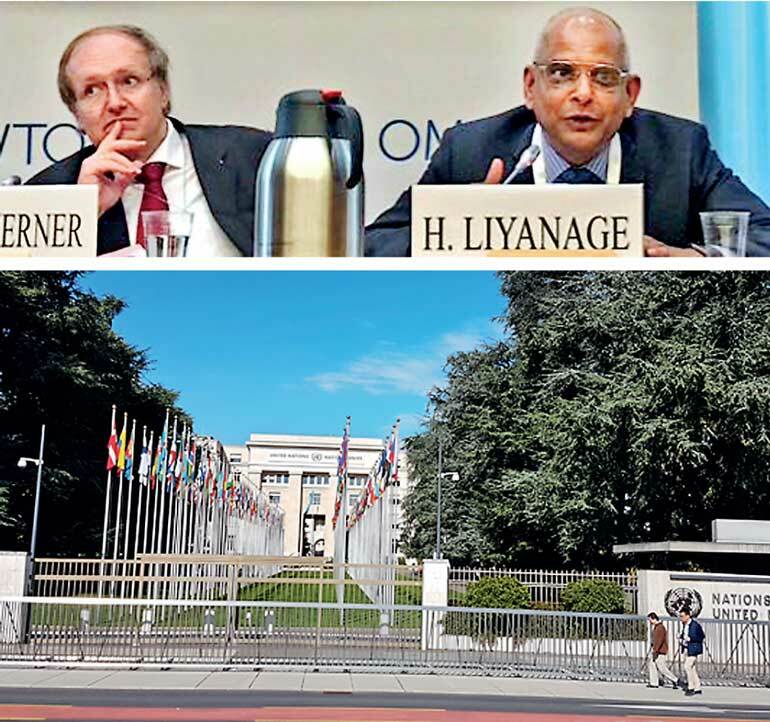 Dr. Harsha Liyanage, co-founder of Grasshoppers, depicted this experience in Sri Lanka while opening a panel discussion put together by the German Development Organisation (GIZ) at the World Trade Organisation (WTO) Public Forum 2017, on 28 October, in Geneva, Switzerland. Dr. Liyanage explained to the international audience of dignitaries, composed of ambassadors, government policymakers and international development specialists representing 193 UN member countries, how Grasshoppers impacts growing small and medium-sized enterprises (SME) in Sri Lanka. Under the title of ‘Connecting SMEs: are E-Commerce platforms the answer?’, the panel, moderated by German Ambassador to the WTO, Dr. Walter Werner, was represented by Dr. Liyanage - Co-founder of Grasshoppers, Anders Aeroe - Direct, International Trade Centre (ITC), H.M. Gustavo - Counsellor of Argentina to WTO and Cezary Sownisky - Senior Director of DHL Express. This is the third successive occasion Grasshoppers was invited by the United Nations organisations to Geneva. Since the inception in 2016, the unique disruptive potential of Grasshoppers has been recognised by many international organisations such as UNCTAD & ITC in Geneva and SIDA of Sweden. The latest invitation was from GIZ, the German development organisation, which is exploring the potential of E-Commerce to leverage development in countries in Africa and South Asia. According to the co-founders Dulith Herath of Kapruka.com and Dr. Liyanage, Grasshoppers is introducing “principles of a gig-economy to rural empowerment”. The Aavishkaar Frontier Fund of India has invested in Grasshoppers after a six-month-long rigorous due diligence process, with confidence of business growth with a great potential to impact rural communities in Sri Lanka. Herath has been granted an Eisenhower Fellowship for the promise of Grasshoppers, and is currently travelling in the US, meeting internet giants such as Amazon, Uber, Airbnb and FedEx, as organised by the Eisenhower Foundation. For further information on the WTO Public Forum visit www.wto.org/english/forums_e/public_forum17_e/pf17programme_e.htm.